It’s like the gunfight at the OK corral with this beauty and its massive reports. 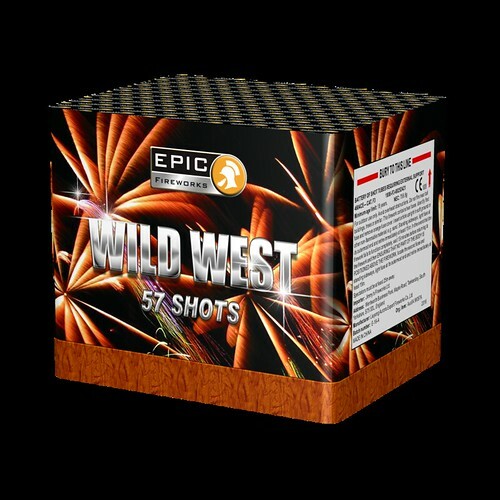 This 57 shot beast is new to the Epic range for the 2016 season and it starts out by punching the air with red comets breaking to huge red and silver peonies and then changing to crackle clouds. Next we have some stunning gold pearls breaking into beautiful gold brocade. This bad boy has it all with whistles and multi shots of glittering palms to cap off the effects. Brilliant for mid-way through your display.